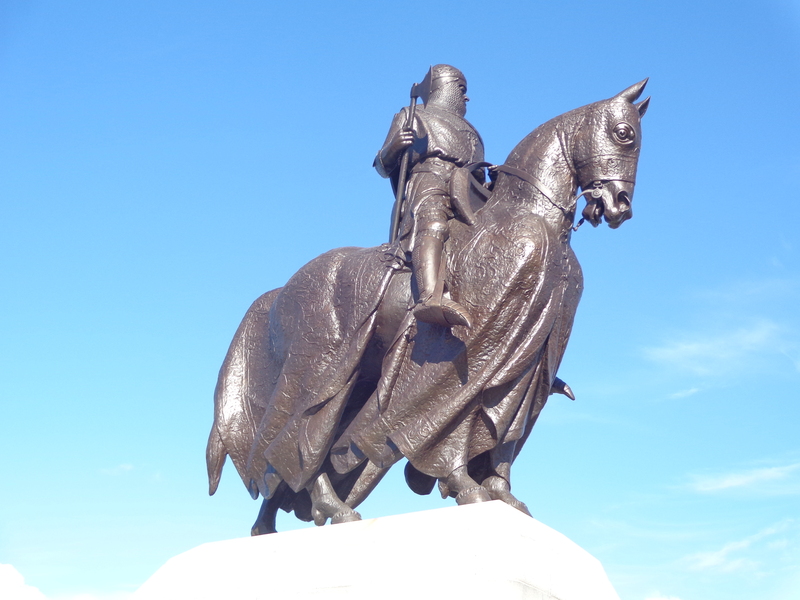 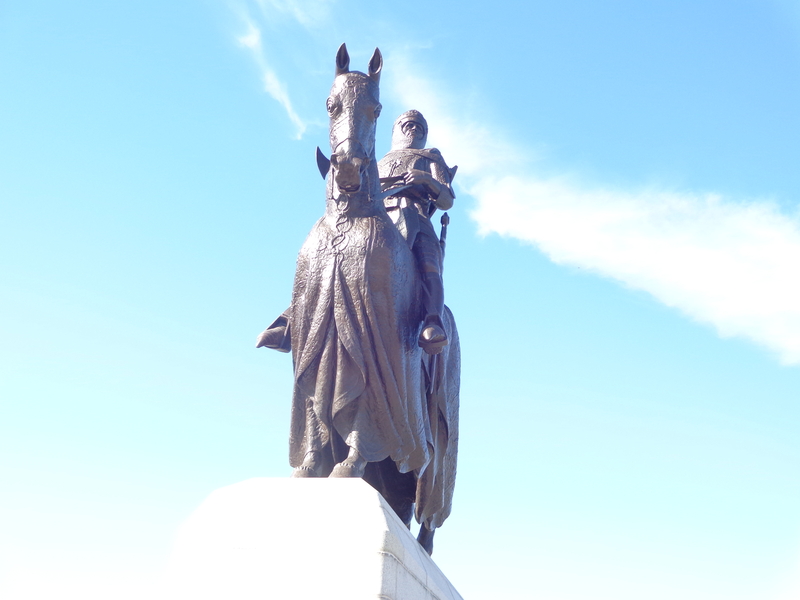 This fine statue of Robert the Bruce had weathered from its original bronze brown to a very coppery green. 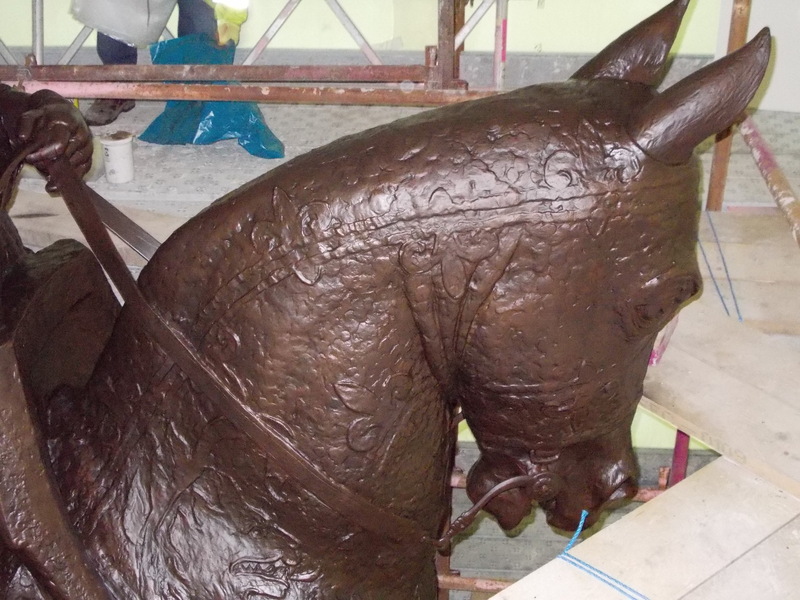 Despite being a excellent casting there were areas that needed attention and some stress fractures to repair. 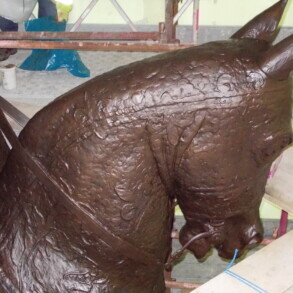 Care was taken to retain as much of the original patination as possible whilst removing environmental and corrosion products. Subsequently the statue was re-patinated and waxed. 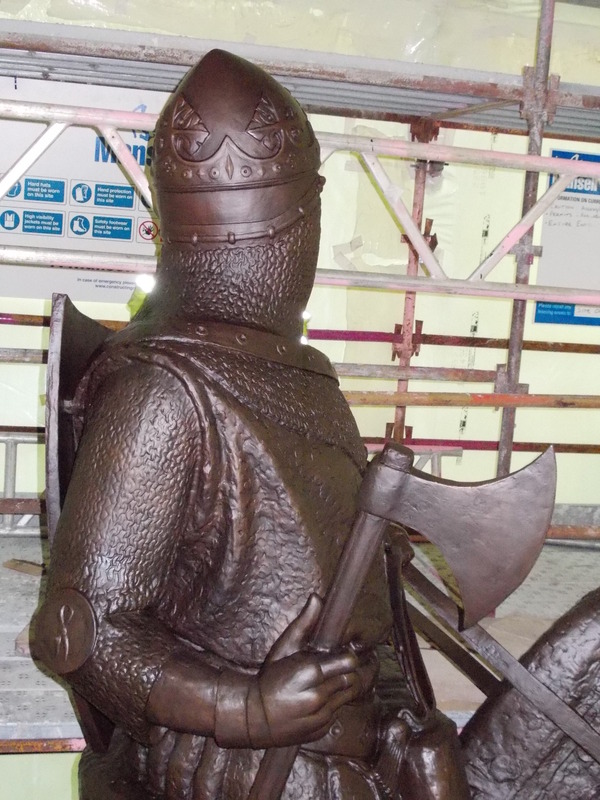 The piece has now been covered for protection during work to the granite plinth but will be revealed during the anniversary year in 2014. 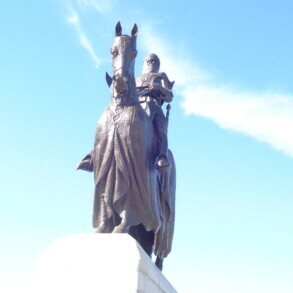 Robert the Bruce, famous for beating the English army of Edward ll despite having far fewer troops, is commemorated at the 1314 battleground in Bannockburn. 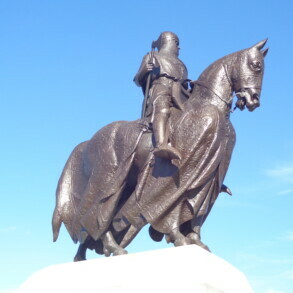 A statue, sculpted by Pilkington Jackson and cast in Cheltenham by HH Martyn was installed in 1964. 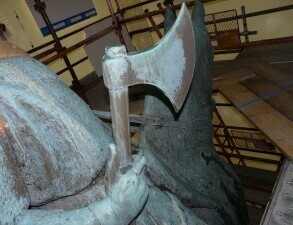 Originally this fine statue was a dark brown but over the years had become corroded to a light green. 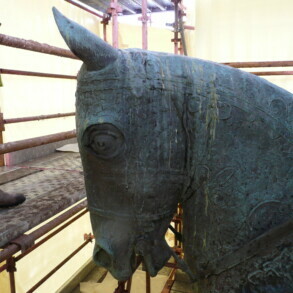 Eura were asked to complete some minor repairs, clean [retaining as much original patina as possible] re-patinate where required using traditional methods and then wax. 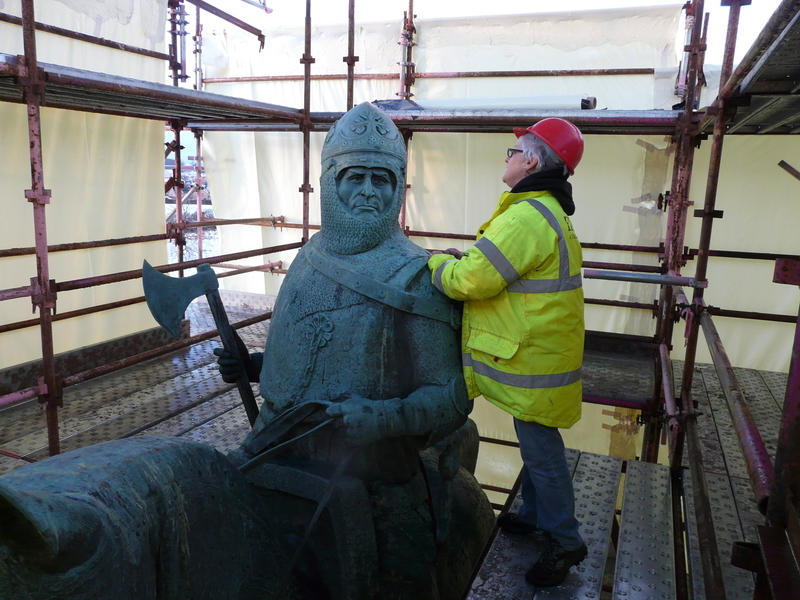 Initially the granite plinth was carefully covered to protect and prevent the ingress of water during the initial super heated steam clean. 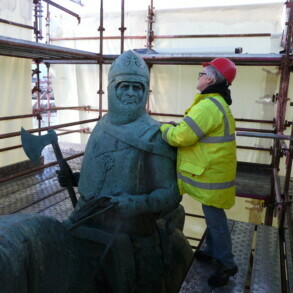 Having removed environmental and powdery corrosion residues the statue was re-assessed and cleaned by gentle wet abrasion. 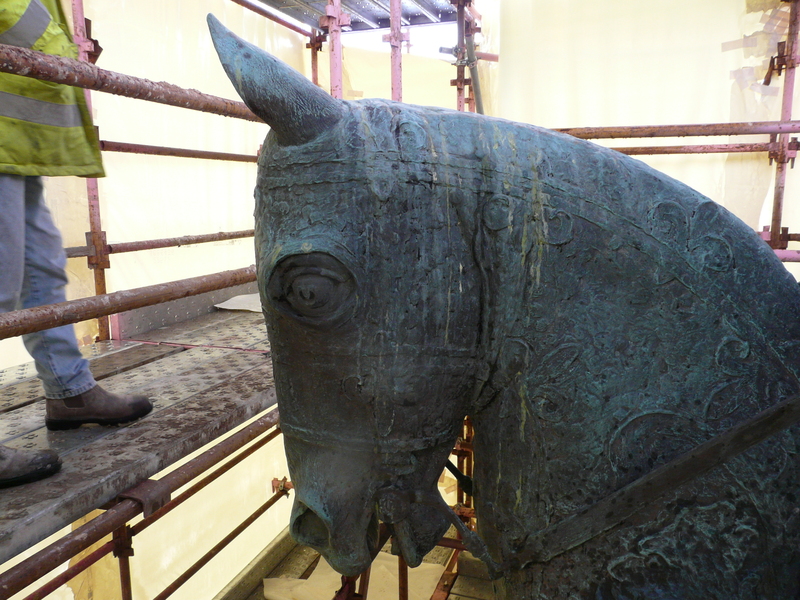 Following burnishing with bronze brushes the statue was selectively chemically re-patinated, treated with corrosion inhibitor and waxed. 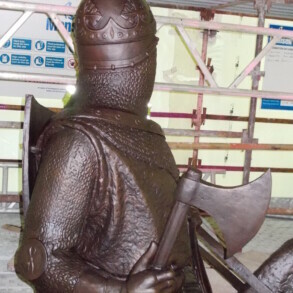 A protective covering of the statuenow means that stone masons are now able to repair and re-point the dark granite plinth ready for the 700th anniversary of the battle and the opening of a newly constructed heritage centre.